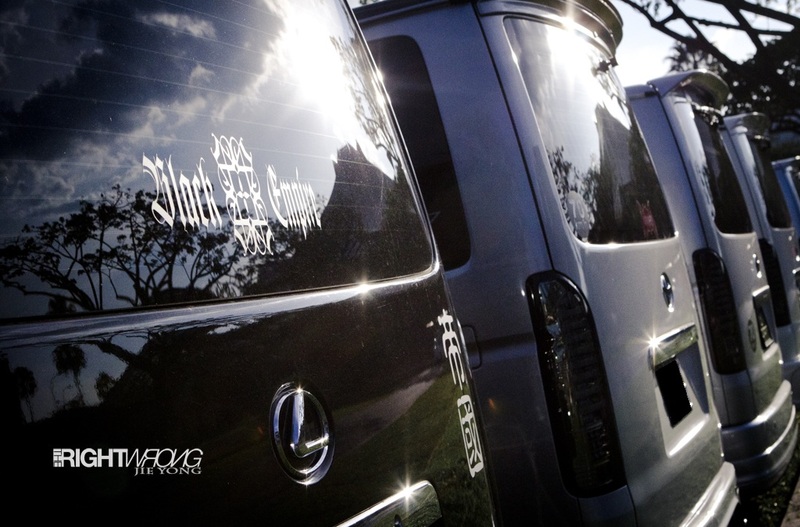 While The Right Wrong crew was covering VAG’s and BMW.SG’s meetup the end of 2011, tucked in a corner of the car park was a fleet of vans. 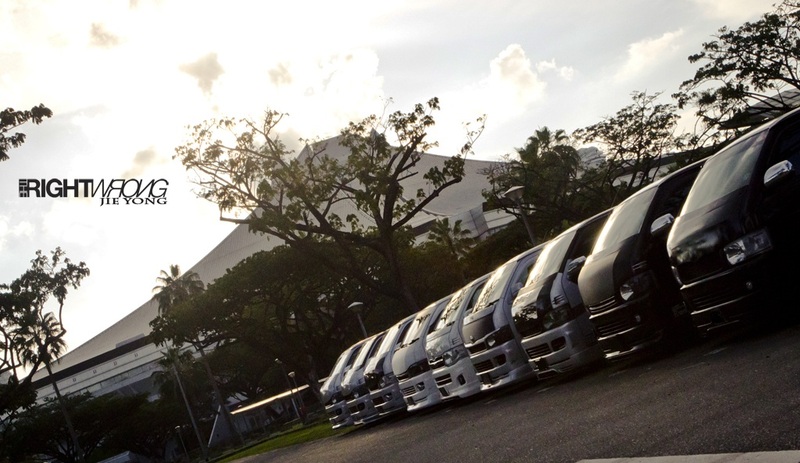 On closer inspection, they were fifth generation Toyota Hiaces, and these 3,000cc machines were tricked out in full luxury. And it feels like this, on a good day. We didn’t take much photos as one of our photographers had his wrist fractured, and we had 2 other events to cover on the very same day. This post was delayed very long as we had others scheduled beforehand. Anyway, that aside, these Hiaces had their styling cues from Japan, from magazines like “Style Wagon” or even “RV Dress-Up” series. 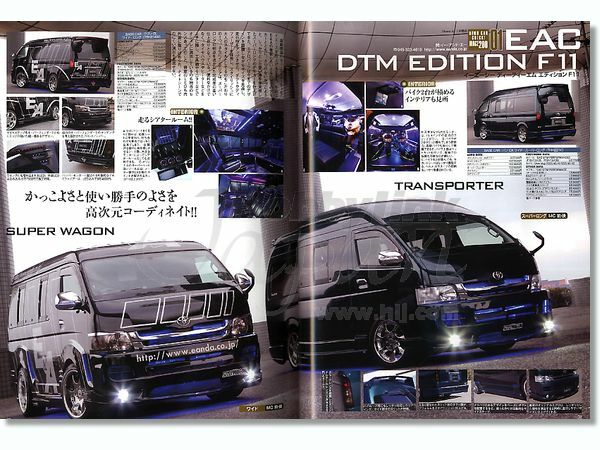 To give you an idea on how this van is a cult favourite in Japan – they are the most common stolen vehicle there. Those Hong Kongers use the Hiace to ferry celebrities too. Singapore, however is relatively a safe place, as it is easier to get your ride pulled over by the authority than having it stolen. 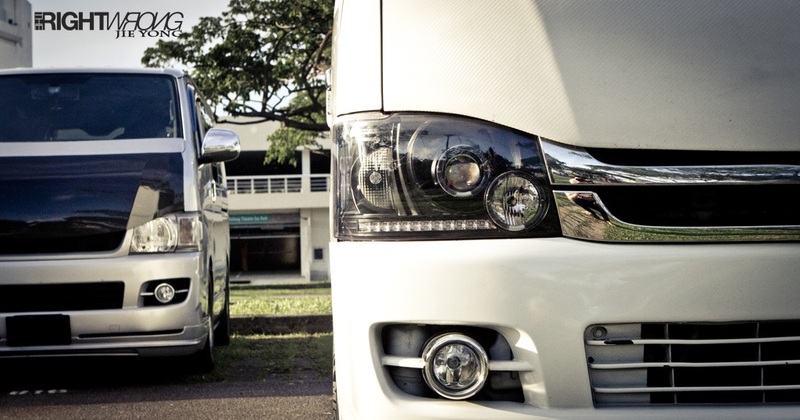 With other issues like the cost of buying a vehicle alone – those who are foreign to the culture here, in Singapore, how the government curbs the car population is the use of a Certificate of Entitlement system. This piece of paper, gives your ride a 10 year life span on our roads for approximately $30,000USD. With that amount of money, one can easily afford another vehicle. 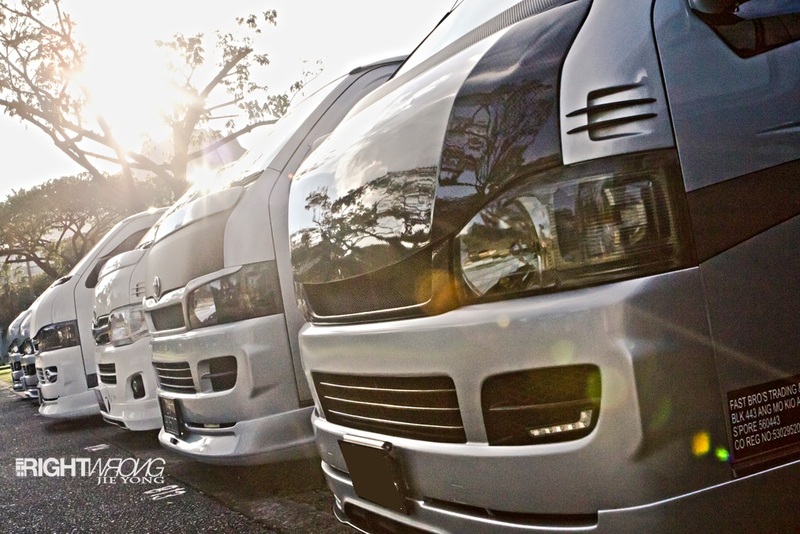 Therefore, most locals who love their rides tend to put in an extra effort to beautify their car. This is evident in these lads here, who transformed a common daily driven goods carrier, or an excursion/school bus to a higher calibre than what was offered stock from the factory. Endless possibilities, just like a deck of cards. Some of the Hiaces here were running on lowered springs, some on coilovers, and one or two air rides, while most had upgraded brake kits, and not forgetting the iconic loud sound system to complete the package. 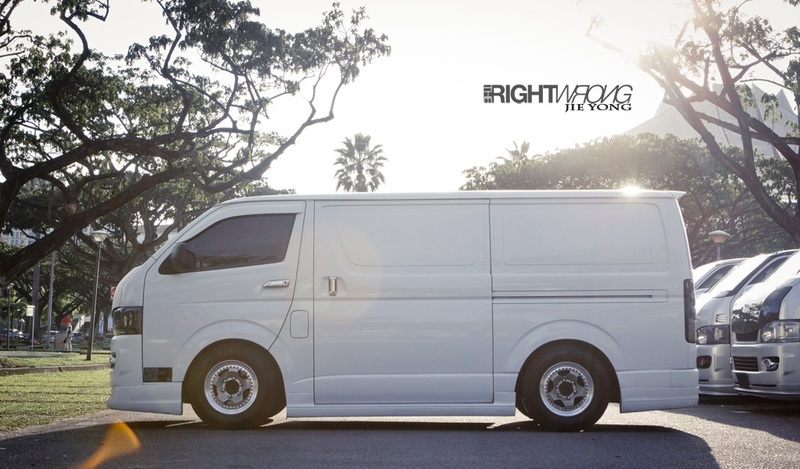 Not many locals here would choose to have a van as a daily driven vehicle as they face legal issues with the authority for modifications like having sport rims – which was deem unsafe due to the laden weight involved. They see me rolling, they hating.. Furthermore, there is even a cap on their speed limit, with an annoying beep when speeds are over 70km/h. If you ask me, this van is definitely safer than some China made tin can cars. These vehicles have to go for a yearly inspection sort of like a MOT test, and a dyno run is mandatory too. Nonetheless, regulations are regulations, it is the passion here we would like to showcase. I could only tuck a cigarette box under the side skirts. That’s how low it is. Ultimately, we hope the red tape did not deter the love being showered on their rides. For some of them, this very van is a source of livelihood, a rice bowl, and everyone would definitely enjoy a comfortable daily driven vehicle. The ride comfort is comparable to that of Lexus. 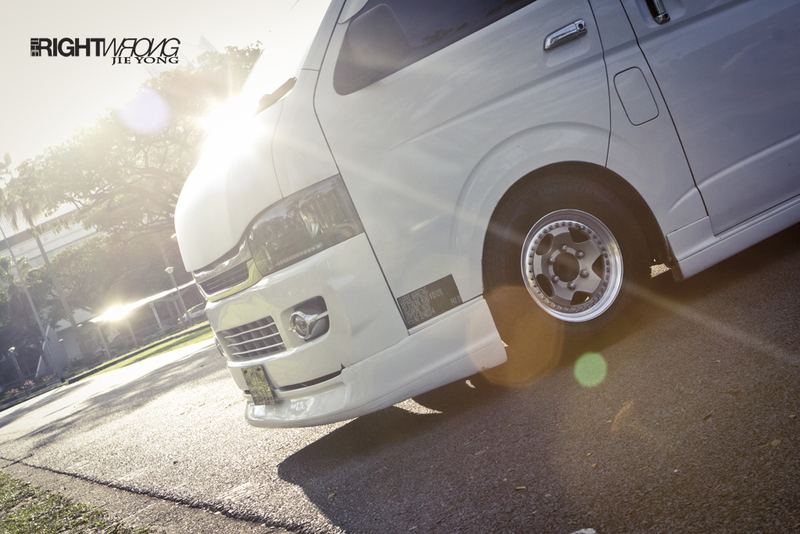 With this bombshell, The Right Wrong crew is still on the lookout for new rides to showcase, readers both from Singapore and overseas, if you have something you would like to be featured, feel free to drop us an email! Do stay tuned to our Facebook page for the latest updates HERE. Passion for loving 4 wheelers comes in all shapes and sizes.